Chameleon is the latest collection of bathroomware introduced by Apaiser Bathware. Described as bold, fun and exciting, the new collection is designed in collaboration with award-winning product designer Paul Flowers. True to its name, the Chameleon bathware collection is adaptable with its simple lines complementing diverse architectural styles. The broad colour palette allows the bathware to blend harmoniously and calmly within the environment. The Chameleon Collection has two series of baths and basins styled as the a-series and s-series. 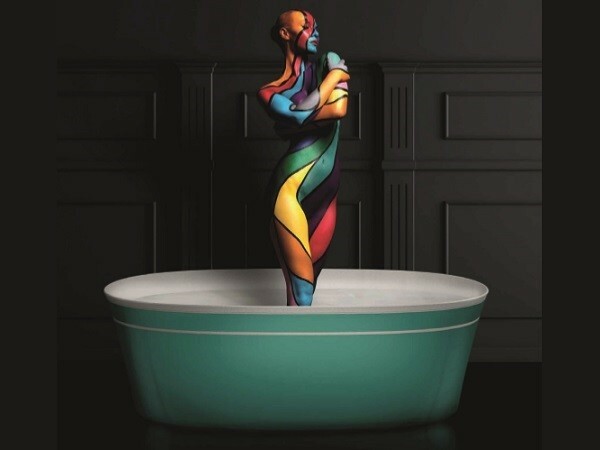 Apaiser’s award-winning bathware is proudly created and designed in Australia. Apaiser bathware is made from apaisermarble, a luxurious non-porous marble material, enriched with beautifully pure Australian minerals. "From the very first meeting it was clear to me the brand values of Apaiser were a good fit with my own philosophy. Apaiser uses the finest quality materials, has relentless drive for perfection and an appreciation for good design. This shared belief I was confident would result in something special."